Manitou North America is introducing new products across its Manitou, Gehl and Mustang by Manitou brands at World of Concrete in Las Vegas. An interactive outdoor booth in the Silver Lot (#O31054) features opportunities to meet the new management team and learn about the latest equipment and service solutions from Manitou, Gehl and Mustang by Manitou. Shown for the first time at World of Concrete, the Gehl RT105 track loader is a stand-out as the most compact in the market yet still delivering an impressive rated operating capacity of 1,050 pounds. This machine can work on the tightest jobsites with an overall width of 50.8″ and height of 71.5″, and it is easy to transport at 4,720 pounds. It is powered by a 35 hp Yanmar engine with 80 ft-lbs of torque, and a diesel particulate filter exhaust system saves on maintenance and the environment. 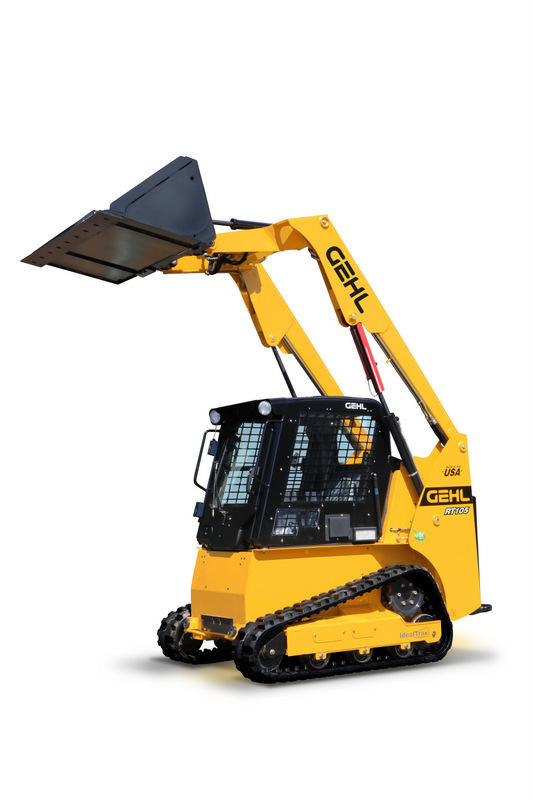 Gehl built the RT105 track loader on an adapted R105 skid loader chassis for 85% parts commonality, a cost savings for those that own both models. 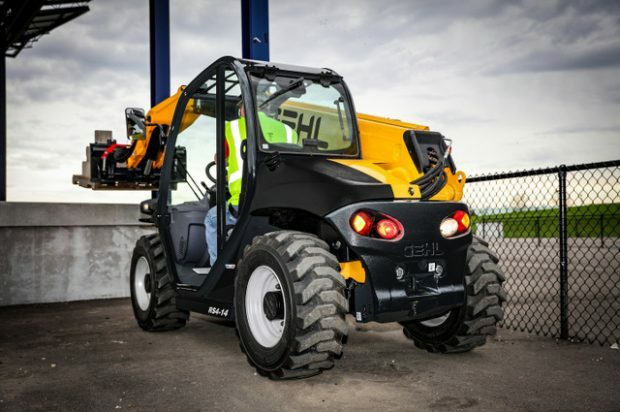 The Gehl RT105 track loader features Gehl’s patented IdealTrax track tensioning system. IdealTrax saves on maintenance and track replacement costs by automatically tensioning the tracks when the engine is on, eliminating the chance of over-tensioning and extending the life of the tracks up to 15%. Track tension is released when the engine is turned off, reducing strain on sprockets and bearings. With IdealTrax, there is no need for manually tensioning the tracks and changes in the field are quick and simple. The Gehl RT105 compact track loader is compatible with most allied track loader attachments. Using Gehl’s exclusive All-Tach universal attachment system, it can easily transform to fit the project. From the weekend warrior to the construction site, the Gehl RT105 compact track loader delivers high-performance in a compact platform. Manitou North America is also debuting the super-compact Gehl RS4-14 telehandler, a highly versatile machine that excels in loader, telescopic handler and industrial forklift applications. At just under 60″ wide and 75″ tall, this is the most compact model in the Gehl lineup. It boasts a maximum lift capacity of 4,400 pounds, lift height of 14’3″ and outreach of 9′. The Gehl RS4-14 telescopic handler has four-wheel drive, three steering modes and a 10’1″ turning radius, so it can work on uneven terrain and in confined spaces. Although compact, the Gehl RS4-14 telescopic handler has a full size operators cab for ultimate comfort. The machine is easy to operate, and the two-speed hydrostatic transmission with gear change on the JSM (Joystick Switch and Move) provides flexibility and precision. The JSM joysticks allows the operator to control all hydraulic and directional functions with one hand, so the other hand can remain on the steering wheel at all times for added safety. A wide selection of attachments are available for maximum versatility, and customers have the option to select the universal skid attach system or Manitou quick attach system. For more info on Manitou, click this link. Hurry!